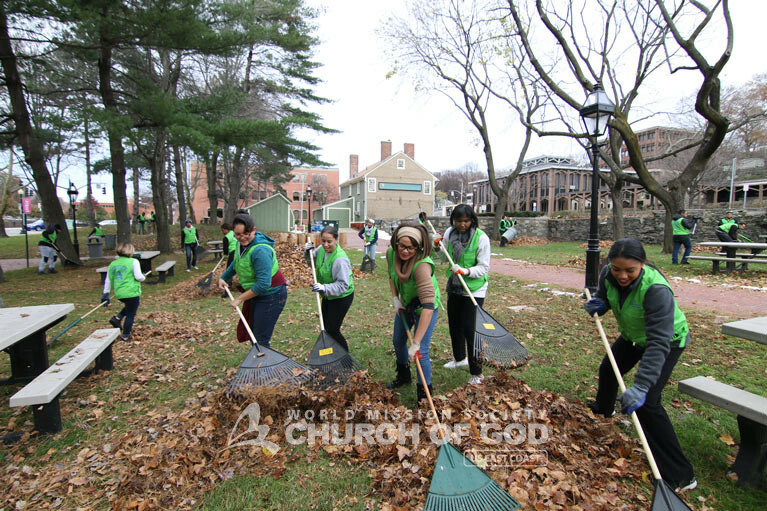 On November 18, 2018, more than 50 ASEZ (Saving the Earth from A to Z) university student volunteers from the World Mission Society Church of God in Rhode Island and Connecticut cleaned up Roger Williams National Memorial Park in Providence, Rhode Island. The volunteers carried out the cleanup with the goal of sharing the love of God the Father and God the Mother with residents by contributing to a clean environment. Parks serve as a public space for community members to enjoy nature and scenery amidst a busy city. To maintain Roger Williams Park’s beauty, the volunteers picked up leaves throughout the park to help cultivate a safer and friendlier environment for the community. 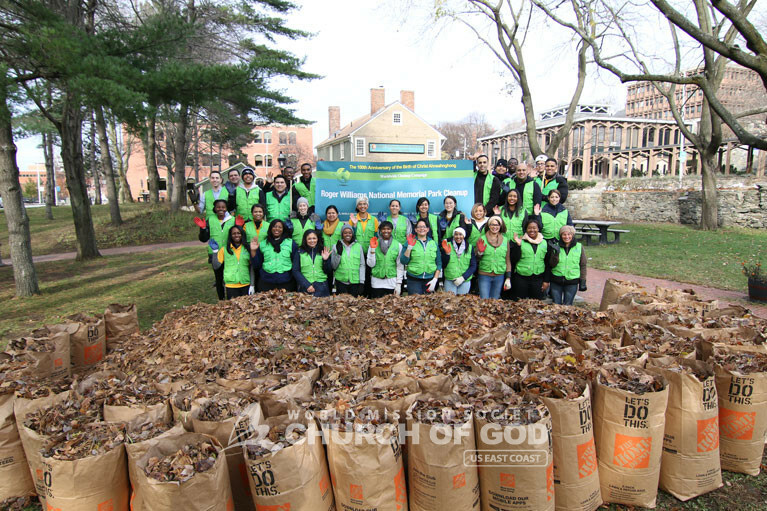 As a result of their united efforts, the volunteers collected and disposed of more than 150 bags of leaves and trash! Paul Logozzo, Roger Williams Park’s sole caretaker, expressed his hopes for a continued partnership with the ASEZ volunteer group to help maintain the park’s cleanliness and preserve the beauty of this 4.56-acre national and historic gem. The amount of leaves the volunteers collected in one day usually takes Logozzo more than a month to accomplish. He praised the volunteers for working so diligently and making such a tremendous impact. 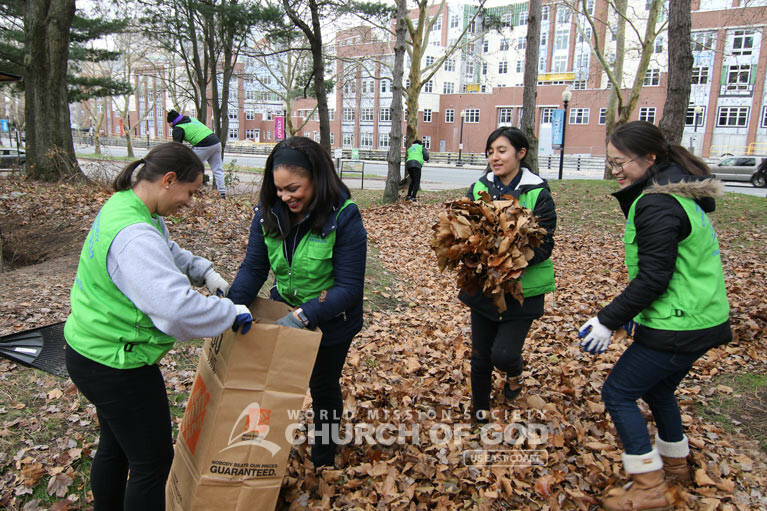 The World Mission Society Church of God regularly holds cleanups and other community service events both locally and worldwide. Volunteers also participate in various community service events, including blood drives, nursing home visits, book/clothing drives and disaster relief efforts. Visit our contact page to find out how to volunteer with ASEZ or the Church of God. Everyone looks so happy and bright! What a beautiful example to give hope and encouragement to the community! It is really great to always see the Church Of God performing this type of volunteer work consistently in all parts of the east coast. Thank you for always contributing to our communities and neighbors. Keep it up! It is really inspiring to see young adults taking action to beautify the community, and doing so with so much joy! Bravo! Please continue to set this kind example for our youth. What a great help! Many cities have the same issue of not having enough help to maintain parks in urban areas. I’m so glad ASEZ is uniting various community members to make the city more beautiful and safer. Go ASEZ!